I'm pumping through nail art linkups, today is my first post for #TheLacquerRing! 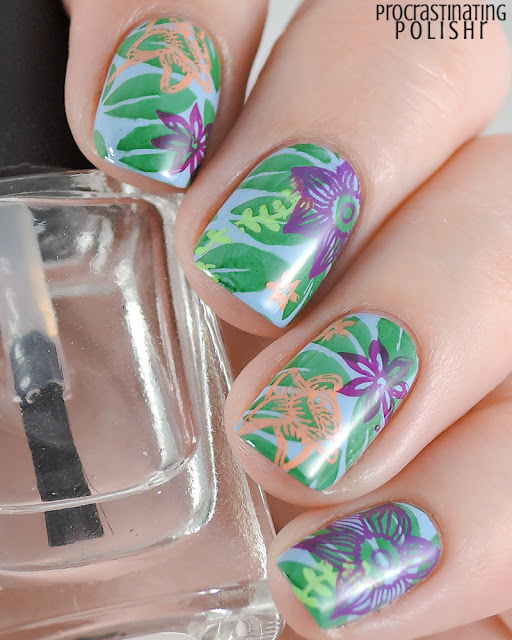 We're getting tropical today with some beach/tropical themed nail art. 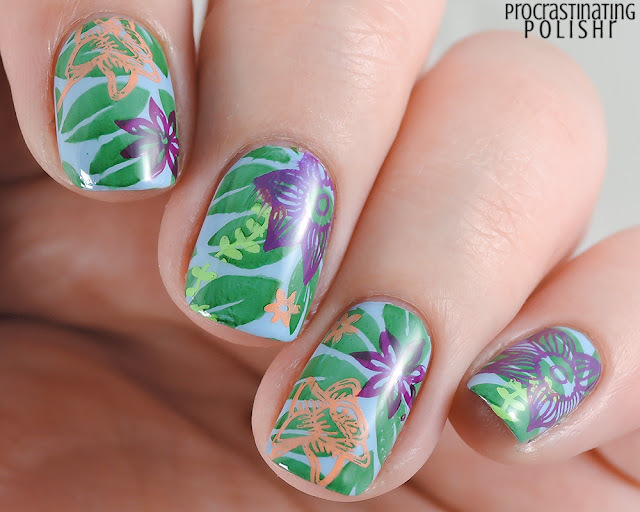 I wanted to turn my nails into a gaudy and loud Hawaiian shirt, so I grabbed a bunch of random colours and dug through my stamping plates to find some tropical kinda images. Turns out that was harder than I anticipated - I don't have many floral/plant lookin' plates! I started with Powder Perfect Library Dust and topped it off with Lightning Lady* fast dry top coat. Seriously still in love with it! Check out more beachy/tropical nails below!